As I discussed in a previous blog, the US and the UK have a soft spot in their heart for the Cavalier King Charles spaniel (CKCS). The popularity of the breed has exploded over the past 15 years and is continuing to climb the AKC registration statistics. In 2013, the CKCS moved up to the 18th most popular dog registered with the AKC (up from 20th place in 2012 and 40th place in 2002). With this gain in popularity comes a larger number of owners voicing their concern about inherited diseases that affect the breed. However, through the use of modern genetic testing technology, some inherited diseases can be completely eliminated. One such inherited disease is dry eye curly coat syndrome (DECC); a disease caused by a mutation in the FAM83H gene and unique to the CKCS. 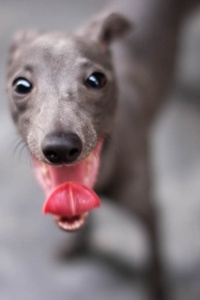 The Italian greyhound (IG) is a wonderful breed. As a true greyhound, the IG is happiest when provided an opportunity to exercise frequently. However, in their down time IGs are just as content laying on the couch with their human family. Their sweet demeanor combined with easy grooming has made this breed desirable to many. Unfortunately however, like most pure bred dogs, the IG can develop a handful of inherited diseases that make life a challenge for the breed and those that love them. It isn’t a secret among IG aficionados that one of the biggest health concerns for the breed is their oral health. Though the exact reason is yet to be fully understood, it is not uncommon for IGs to develop early-onset dental disease resulting in significant problems in early adulthood. Though a commitment to daily tooth brushing can help prevent many dental issues, there is also an inherited dental disease in IGs that can now be eliminated through genetic testing of dams and sires prior to breeding! 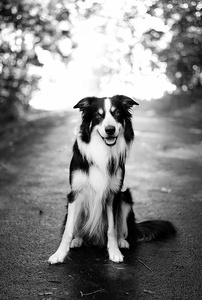 When we look at the vast majority of genetic tests currently available for canine inherited diseases, we find a large number of diseases that can be predictably diagnosed with our current technology. 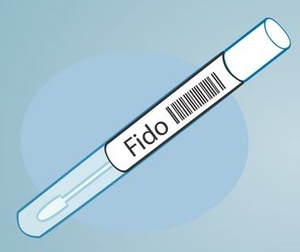 For most of the available canine genetic tests, dog breeders understand that there are three commonly used designations applied to a dog for any given inherited disease; normal, carrier or affected. By knowing the way a disease is inherited (recessive vs dominant vs X-linked) and the number of copies of a mutation present in an individual, genetic testing laboratories like Paw Print Genetics can give predictable information about these diseases because they have a clear, 100% correlation between the cause and the illness. 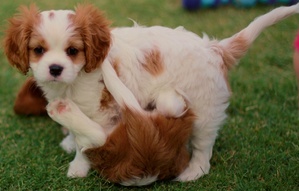 Click for Part 1, Part 2, and Part 3 of this ongoing blog about itchy dogs. In part 3 of this series of blogs about itchy dogs, we took a look at two common parasites of dogs; lice and mites. In this fourth and final part of these blogs we will discuss fleas and ticks, two other common parasites that can make our dogs’ lives miserable at times. 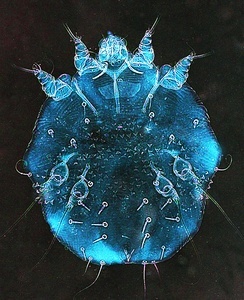 Though there are multiple species of fleas that can infest our dogs, the most common flea type in North America is the “cat flea”, known to scientists by the name Ctenocephalides felis. 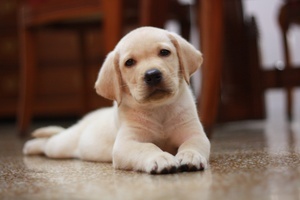 Fleas are commonly acquired by our dogs through close contact with other infested animals or from environments suitable for flea development and dormancy. 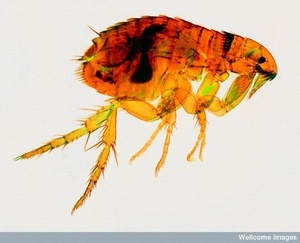 Regions with higher environmental temperatures and high relative humidity allow fleas to develop more quickly and to survive for extended periods of time off of a host. 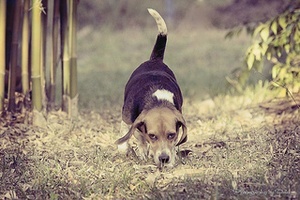 Once infested, there are two important pieces of information that should be considered to eliminate fleas and prevent a reinfestation of your dog; flea control on the host and flea control in the environment. 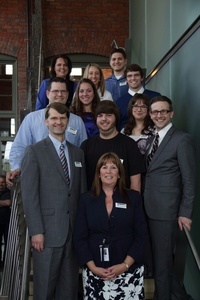 Customer service is of the highest priority at Paw Print Genetics. From the numerous positive reviews we have received on our Facebook page referencing our personal attention to detail, to the many emails we receive from our clients thanking us for a job well done, we recognized early on that we were on to something. After all, we know that without our loyal clients, we could simply not exist as a laboratory. The customer service goal established by our company culture is to exceed the expectations of every client that we have the privilege with which to work. We want our clients to come back to us for genetic testing, not because we are the only option, but because they have never had a better experience with a genetics laboratory. 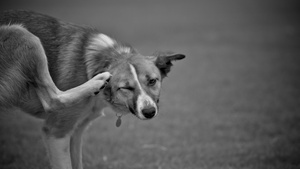 Click here for Part 1 of this ongoing blog about itchy dogs. Like people, some dogs are known to develop seasonal summer allergies to a variety of environmental allergens. Pollen, mold, dust mites, and mildew are just a few of the triggers that can make dogs itchy as the days become warmer. Many dogs have only mild signs of allergies that can be controlled by the use of antihistamines and bathing to wash allergens from the hair coat. In these mild cases, the allergies are predictable annually, they don’t seem to progress in severity, and are relatively easy to manage. However, for some dogs, the body’s reaction to allergens is so significant that their overall quality of life can be greatly impaired.